One Thousand White Women begins with May Dodd’s journey into an unknown world. 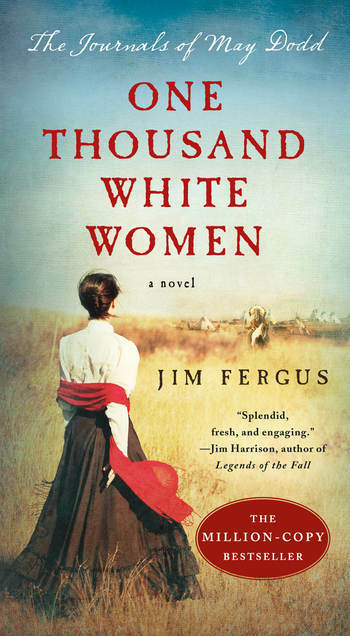 Having been committed to an insane asylum by her blue-blood family for the crime of loving a man beneath her station, May finds that her only hope for freedom and redemption is to participate in a secret government program whereby women from “civilized” society become the brides of Cheyenne warriors. What follows is a series of breathtaking adventures—May’s brief, passionate romance with the gallant young army captain John Bourke; her marriage to the great chief Little Wolf; and her conflict of being caught between loving two men and living two completely different lives. JIM FERGUS is an award-winning writer whose work has appeared in numerous national magazines and newspapers. He is the author of several fiction and nonfiction books. His novel One Thousand White Women won Best Book of the West and has sold over a million copies both in the U.S. and France. Jim divides his time between southern Arizona, northern Colorado, and France.